This month’s Glossybox is my fourth so far. 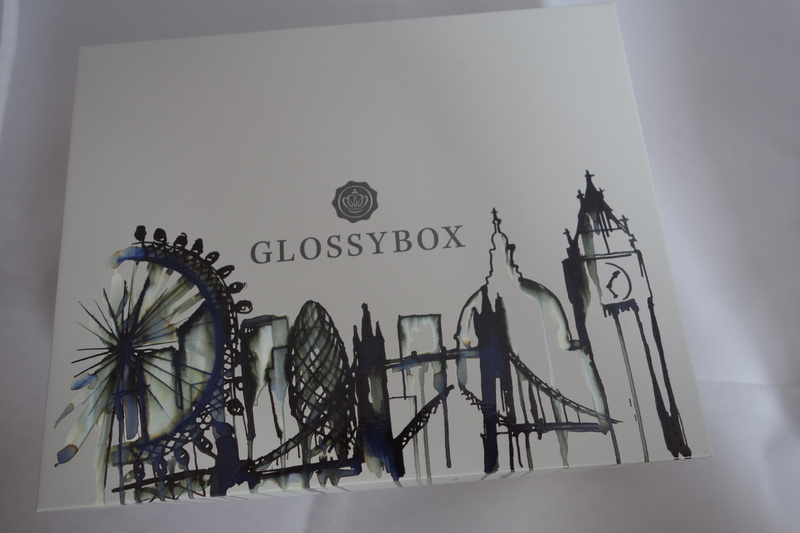 I really look forward to the arrival of my Glossybox each month: I was given a six-month subscription as a birthday present, and that birthday feeling still keeps coming with this! This is probably not the case for everyone, but my boxes always seem to be delivered at the most convenient time – usually around 7, when I haven’t left for work yet. It’s brilliant! I love the different boxes: they are the perfect size to store items like makeup, or cables/adaptors in and they look nice, too. 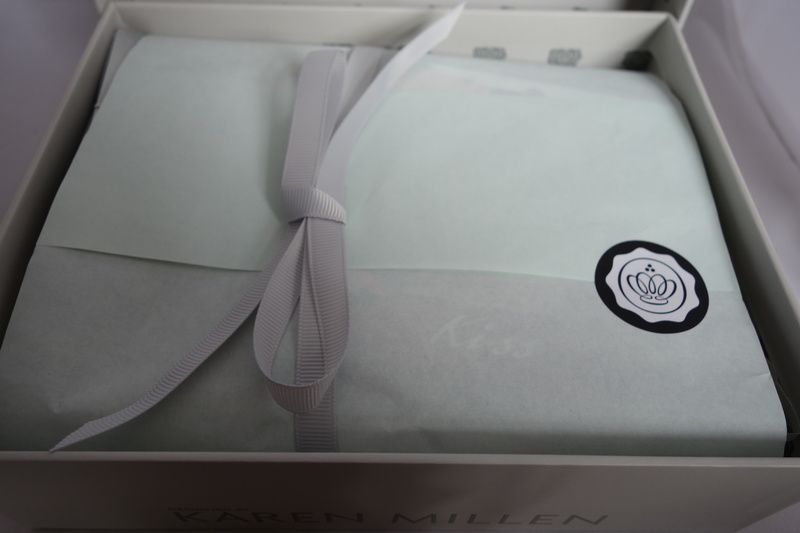 The design of the box this month was lovely: designed by Karen Millen, presumably to tie it in with fashion week, it shows the London skyline. Not surprising, then, that one of the first things in the box is a £25 off any £150 purchase at Karen Millen until late September. I’m trying to save money this month, so I won’t have a chance to redeem it but I’m very tempted by this! In terms of products that have the potential to be incorporated into my daily makeup routine, this Glossybox has been the best yet. When it comes to makeup and hair I am definitely a creature of habit, so I was happy to see this month that the products were often higher end variations of current staples. 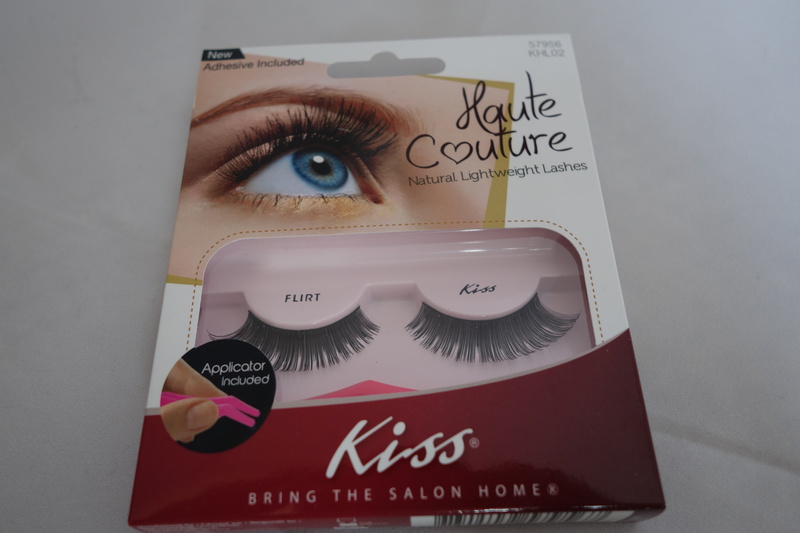 The first item that caught my attention were the Kiss Haute Couture Lashes. When I was a student up in Manchester, false eyelashes were often part of my look on a night out, but since I’ve moved down south I don’t think I’ve used any at all! I’m not sure if it is because now I’m working, I tend to go out straight from the office, or because of the differences in style. Regardless, I’m really looking forward to trying these out! 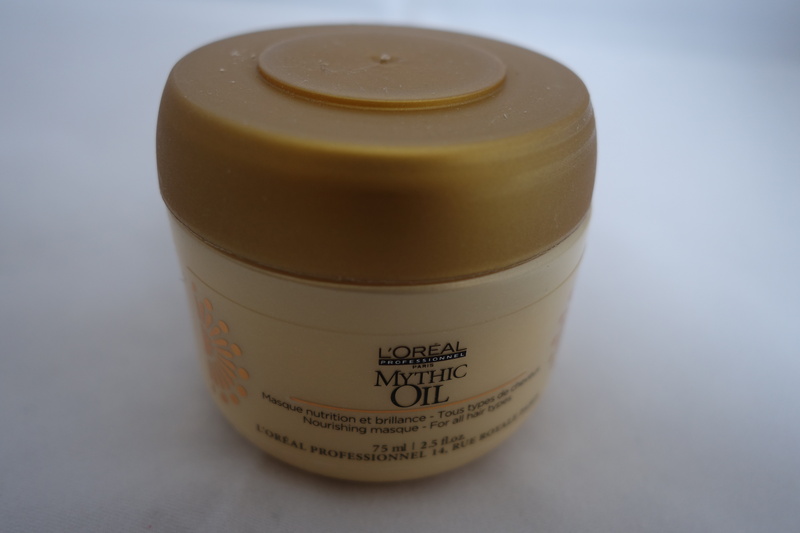 The hair product this month was a 75ml pot of L’Oreal Professionnel Mythic Masque. I love the L’Oreal Professionnel hair oils, and I absolutely adore masques for my thick, sometimes unmanageable hair so I’m really pleased with this little pot. Smells nice, too! The last few products were my favorites for this month: a peachy cream blusher from GOSH cosmetics and ModelCo’s More Brows fibre gel. 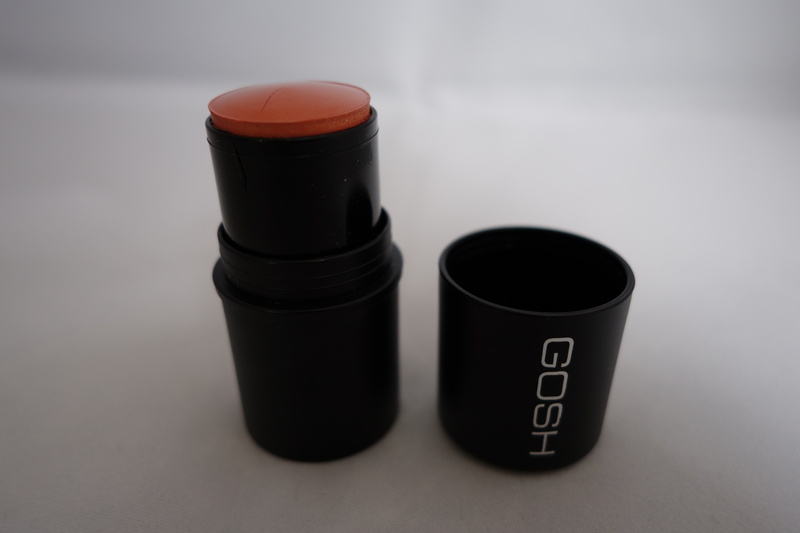 The peachy blusher stick from GOSH is the first time I’ve tried blush in this form, and I really liked the tone and texture. I usually tend to go for pink blushes, but this color might suit me more – and would be great for traveling as the product won’t run the risk of crumbling all over your suitcase. 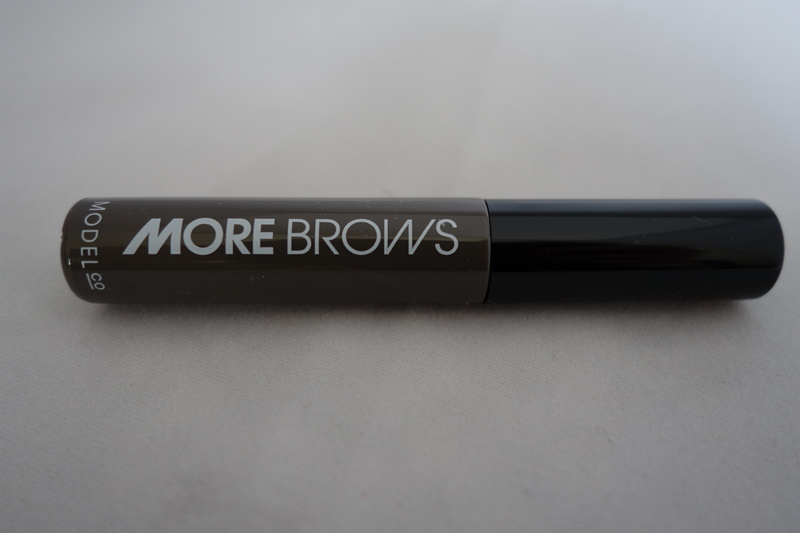 The only brow gel I’ve used previously was Maybelline’s Brow Drama gel. Up until yesterday, I was perfectly content with it, but now I’ve discovered this the difference is astounding: it’s been like going from grape juice to champagne. With the brow drama, I’d have to apply powder, and run the brush through my brows, often making them slightly clumpy (attractive). With this, you just apply in short, upward strokes, nothing underneath, and you get the same visual result as it dries to a natural finish. It’s so simple and makes the brows look neat and more full. If any product can reduce anything to one step, I’m interested. In the image below, I’m wearing some Urban Decay BB cream, liquid eyeliner, mascara with the GOSH blush and ModelCo brow gel. 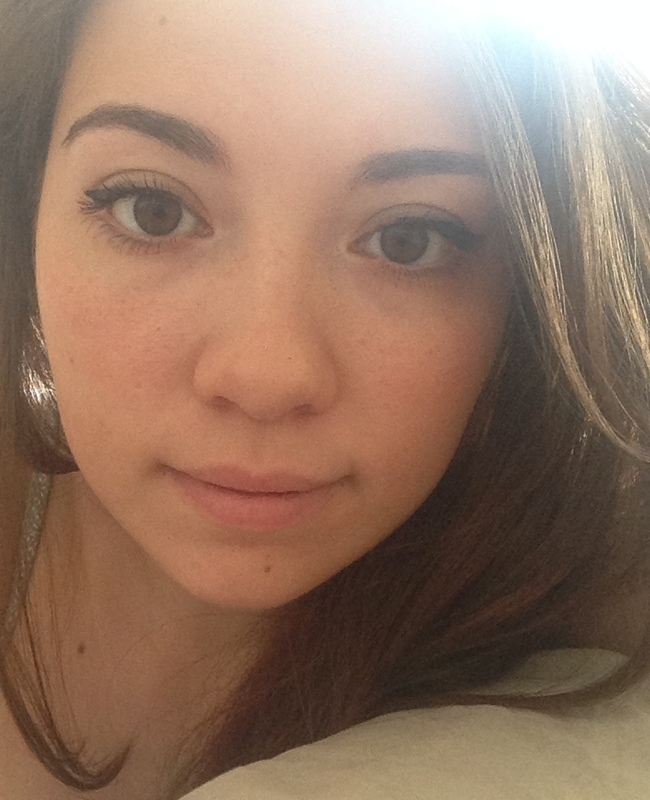 The products this month will definitely work their way into my day-to-day routine, so I’m really pleased. 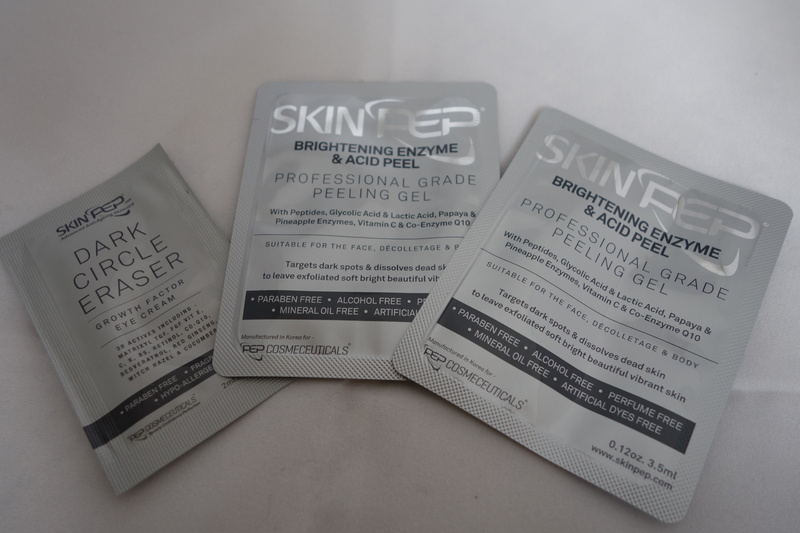 It’s the best part about Glossybox: trying out new products you wouldn’t necessarily pick yourself! The Glossydots system also allows you to earn points but filling out surveys on products from the previous boxes. By earning 1000, you can get a free Glossybox. You also get points for inviting people, so I’ve included my referral code below. Do you have a subscription box? What’s your favorite? The Brow gel sounds amazing! Lovely post.